Chad Zallow tweeted out four simple words prior to the 60-meter men’s hurdles final Saturday at the NCAA Indoor National Championship. 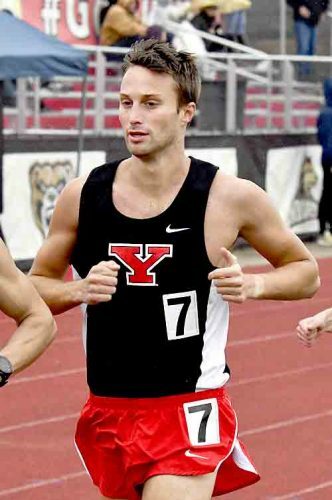 In essence, this was the Youngstown State University sophomore track standout’s fiercest competition of his career. The hurdles final at College Station, Texas, put Zallow in the crosshairs of some of the nation’s top-level talent from conferences like the Atlantic Coast Conference, Southeastern Conference and Big Ten. There was Zallow, the Horizon League’s indoor track male athlete of the year. A mid-major conference athlete overlooked by those major conference schools because the John F. Kennedy High School graduate didn’t fit their criteria of being at least 6-feet tall for a hurdler. There were worries he couldn’t make the adjustment from 39-inch to 42-inch high hurdles. So far in his sophomore year, Zallow has put those concerns to rest. He was ranked No. 1 in the nation this season in early February, coming off last year’s NCAA Indoor Nationals where Zallow barely missed finals. This time, after winning his heat on Friday, Zallow stood second to Florida freshman Grant Holloway going into Saturday’s final. Zallow took a bump from Syracuse’s Freddie Crittenden III into his elbow and arm before the first hurdle. 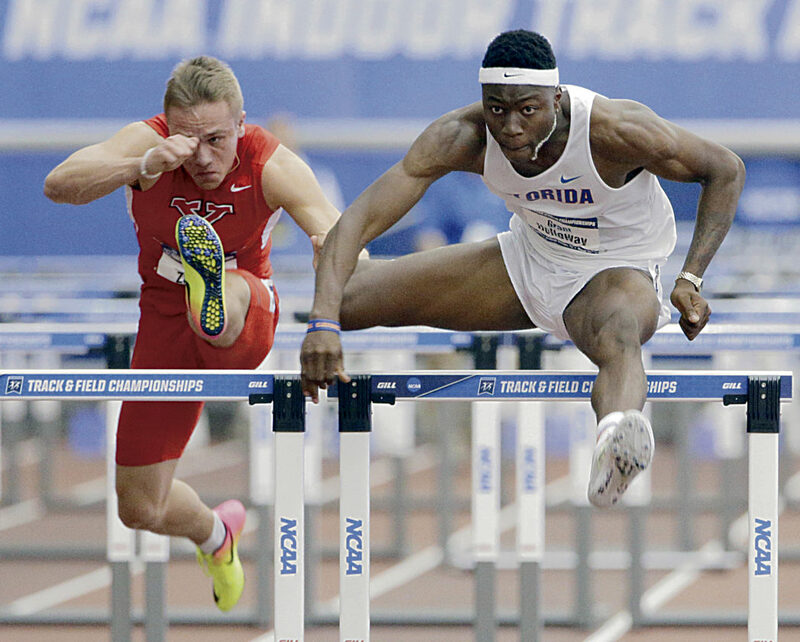 Zallow, who is known for his quick starts, hit the second hurdle — reeling from that early blow. Zallow’s dogged determination didn’t fail him. He remembered his training with the YSU sprints coach. Zallow ended the race in 7.72 seconds, a second slower than his four straight times of running 7.61 prior to Nationals. Holloway won in 7.58 seconds, while Crittenden III was second (7.67). “I didn’t have the cleanest race in the world,” Zallow said. “I bumped arms with the guys next to me a lot throughout the race, but hurdles is a physical race and that’s what comes with it. 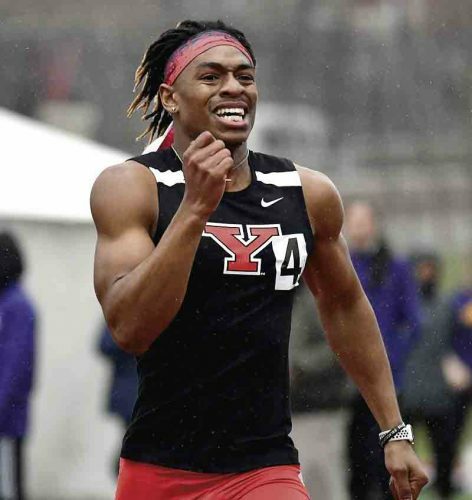 Zallow had aspirations of being YSU’s first-ever national champion in track and field and first Trumbull County native to capture that honor since McDonald High School graduate Matthias Tayala. Tayala won the 2014 NCAA outdoor hammer throw title for Kent State University. 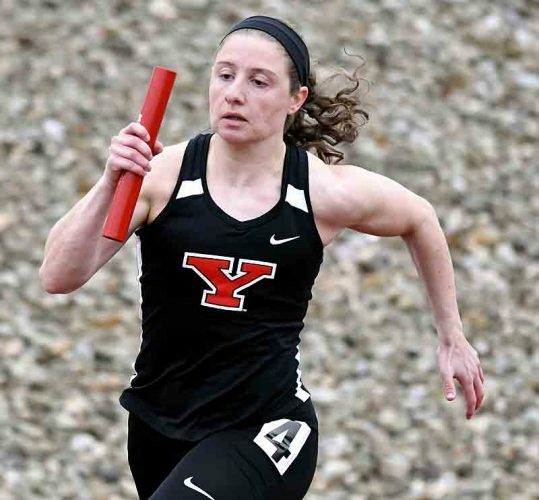 Zallow tied the best finish for a YSU athlete since Bobby Grace took third in the shot put in 2014, and it was the best track finish ever. Kurt Michaelis took eighth in the mile in 2003. 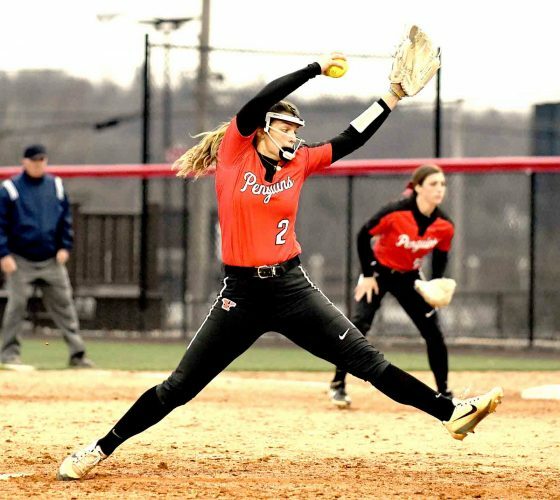 It was a far cry from Zallow taking ninth last season and being a second-team all-American. This year, he took third and was a first-team All-American. Zallow came in shooting for a national championship, but came up short. Yes, it was Youngstown against the world, or the rest of the NCAA hierarchy. “He felt the whole community behind him every step the past two days,” Gorby said.